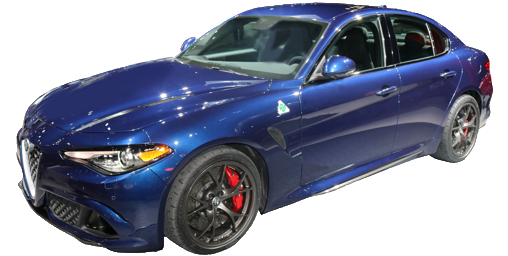 All of the changes to North American Alfa Romeo models for the 2018 model year, including 4C, Giulia, Giulia Quadrifoglio, Stelvio and Stelvio Quadrifoglio. Bookmark this article to keep abreast of the changes as we find out more! 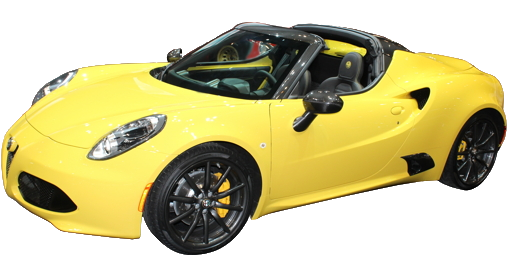 After a one year absence, the 4C Spider with its removable roof is back. Apple CarPlay and Android Auto are now available. Forward collision warning and automatic braking become standard. I wonder if they work at 175 MPH? Harmon Kardon premium stereo is standard. Apple CarPlay and Android Auto are now available. Stelvio is Gulia's masculine cousin. Based on the same platform, the Stelvio is Alfa Romeo's first stateside sport utility (crossover, really), basically a raised, wagon version of the Giulia, not that that's a bad thing, the giulia being a very well-behaved road machine. The Stelvio adds some ability to tackle gravel roads, trails and snow. 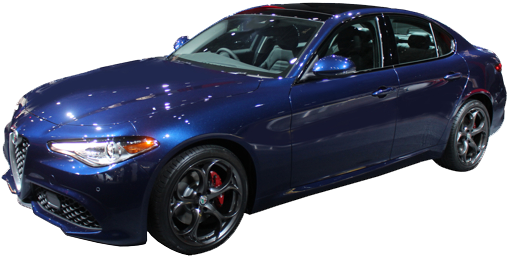 It will come standard with the 2.0-liter turbocharged 4-cylinder from the Giulia. With 280 horsepower, an eight-speed automatic transmission and all-wheel-drive with a rear axle bias this will be a sporty sport utility. 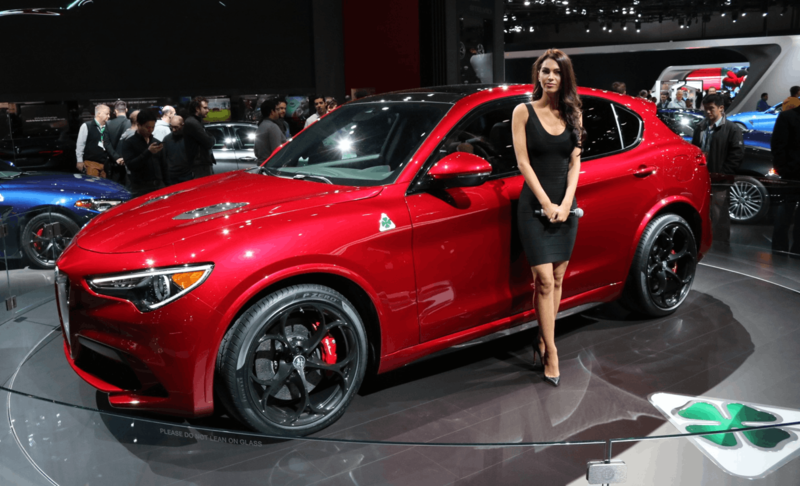 For the sportiest, opt for the Stelvio Quadrifoglio. The Ferrari-based 2.9-liter V6 makes 505 horsepower. Larger brakes and a standard adjustable suspension round out the package. Optional carbon ceramic brakes means flying down those mountain passes over and over won't fade your brakes. The Quadrifoglio will arrive later on. 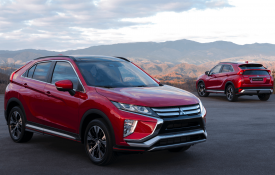 Utility is moderate with 56 cubic feet of cargo capacity with the rear seats folded, 20 less than the Acura RDX or BMW X3, but about the same as the Audi Allroad or BMW X1. Standard safety includes the obligitory electronic stability control, antilock brakes, tire pressure monitor, and a backup camera, as well as rear ParkSense backup sonar warning, dual-stage frontal smart airbags, curtain airbags for both seating rows, side impact airbags built into the front seats and knee airbags for the driver and front passenger. 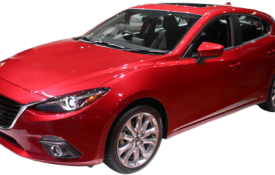 Front collision warning, Autonomous Emergency Brake, Lane Departure Warning, Blind Spot Warning and Rear Cross Traffic Warning are optional.